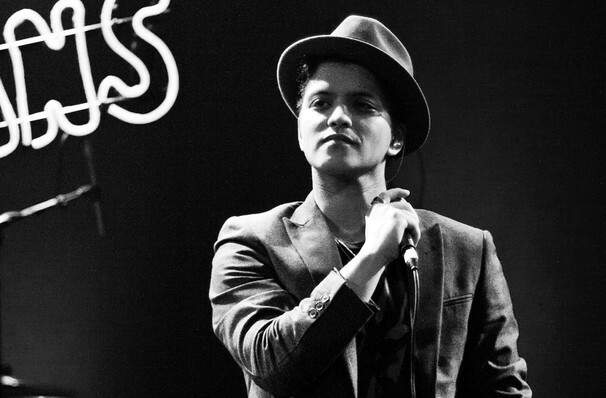 Bruno Mars is on top of the world right now! Still basking in the success of his Mark Ronson collaboration 'Uptown Funk', he followed it up with another fierce of glittering pop funk, '24K Magic', the lead single from the album of the same name. 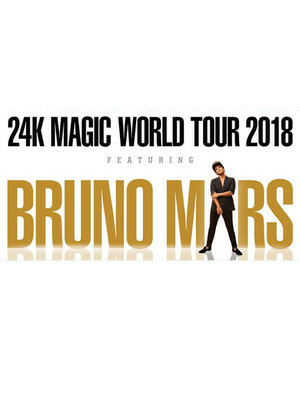 A showcase for his incredible skills as a songwriter, musician and all round entertainer, 24K Magic is another entry in a hits filled catalogue which has seen Bruno become one of the biggest names in music. Beginning his career as a songwriter (Cee-Lo's 'Forget You' is maybe his most famous writing credit), Mars has since made the transition to blockbuster singer. Whether it's ballads ('Grenade', 'Just the Way You Are'), insanely catchy pop numbers ('The Lazy Song') or driving anthems ('Locked Out of Heaven') Bruno can do it all. Sound good to you? Share this page on social media and let your friends know about Bruno Mars at T-Mobile Arena. Please note: The term T-Mobile Arena and/or Bruno Mars as well as all associated graphics, logos, and/or other trademarks, tradenames or copyrights are the property of the T-Mobile Arena and/or Bruno Mars and are used herein for factual descriptive purposes only. We are in no way associated with or authorized by the T-Mobile Arena and/or Bruno Mars and neither that entity nor any of its affiliates have licensed or endorsed us to sell tickets, goods and or services in conjunction with their events.